Find the best of Britain in this easily accessible area of the country, with exciting attractions, impressive heritage and the majestic landscapes of the Peak District. Haunted houses and eerie castles dot the county and tell tales of thousands of years of tempestuous history dating all the way through to Norman times. There is a wealth of wonderful venues that will make for an event to remember! The County Town of Stafford boasts some fine Elizabethan and Georgian edifices to be admired on one of our highly entertaining treasure hunts and the ruined battlements of Stafford Castle will offer a dramatic backdrop to our filming events like iStudio! 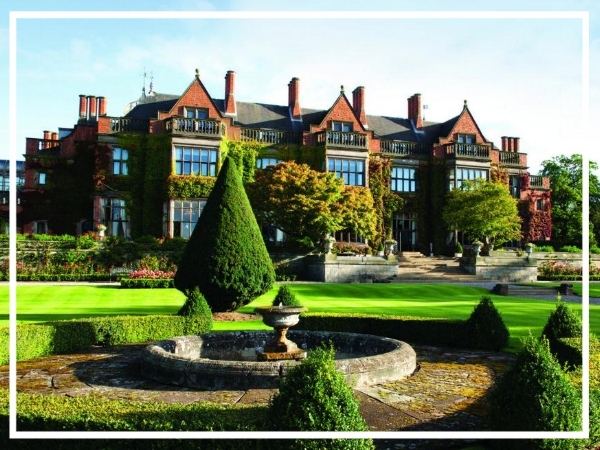 Speak to our expert sales team on 0845 006 06 06 for the ultimate Staffordshire stay! Whether you are looking for a murder mystery night or a day of outdoor pursuits - this county has it all! Close to Burton-upon-Trent and Derby, Newton Park offers splendid conference facilities and will welcome groups of up to 120 guests. The hotel is the former home of Staffordshire brewer William Worthington, and the landscaped gardens are ideal for our team events. A paradise setting hidden away in 90 acres of glorious English countryside, this Grade II listed building offers the unique combination of traditional elegance and first class friendly service alongside the facilities of a superb modern Spa Resort. Located at the very heart of rural Staffordshire, this grade 2 listed manor house has grown from a village pub and restaurant into an independent, award-winning hotel and restaurant without losing with unique charm or personality.